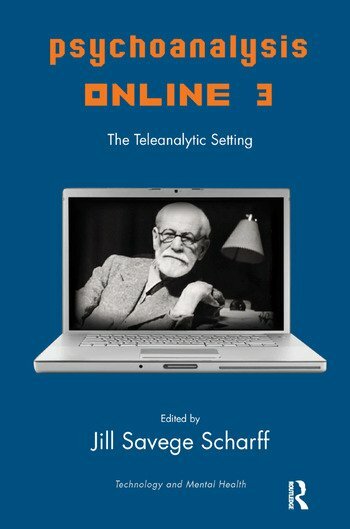 Psychoanalysis Online 3: The Teleanalytic Setting is a highly topical, continuing conversation on the role of technology in psychoanalysis and its tremendous potential for outreach to patients in the global economy. It describes the essentials of a framework for teleanalysis that is secure in terms both of technology and ethical stance. The technology is a third in the therapeutic alliance and its impact needs to be analysed like every other element in the field. Teleanalysis appears to some people to be a distancing methodology but the authors report surprising closeness across a distance. Teleanalysis offers a window into the analytic pair's experience of time, space, deprivation, fantasy, and physicality and shows unconscious dynamics displayed graphically on the image on the screen. The book looks at the convenience and impact of internet use among various communities including LGBTQI in terms of defense against and transition to intimacy, and gives clinical evidence of transformation made possible through the therapeutic aspects of technology.